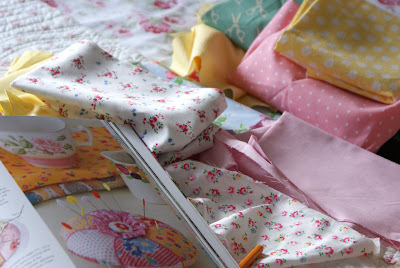 MessyJesse - a quilt blog by Jessie Fincham: Crafty Projects and Crafty Fashion! 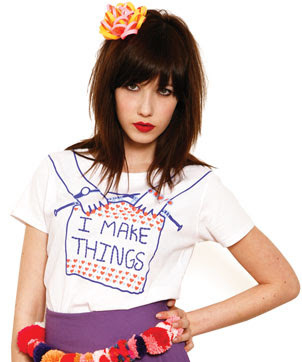 Crafty Projects and Crafty Fashion! 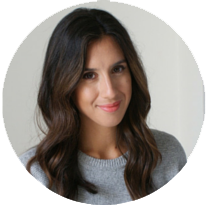 My craft books turned out to be GREAT! i love them all, i don't think i could pick a favourite.. 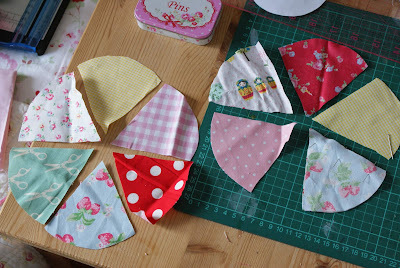 I'm making a lovely hexagon pincushion as my very first project! though i could only get half done, as i don't have any stuffing :( i hate when you run out of things halfway through a project, im sooo impatient! 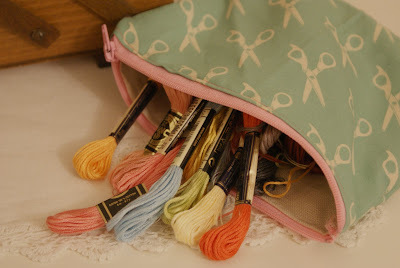 and this is a little purse i made to keep all my embroidery threads in one place, the clear plastic bag just wasn't cutting it anymore! 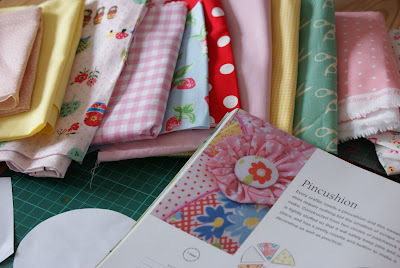 it's a new moda fabric i purchased recently.. very nice for sewing related projects like this. 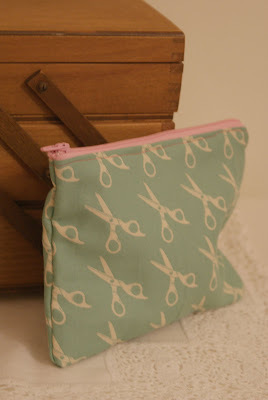 I love the beautiful scissors fabric!!! Too cute!! !